His Beatitude, Metropolitan Vladimir, was well known as a preacher, theologian, and spiritual writer. 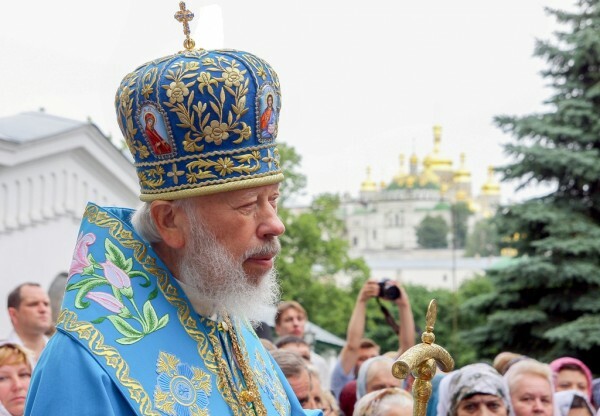 In Kiev, on the morning of July 5, in the 79th year of life, Metropolitan Vladimir (Sabodan), head of the Ukrainian Orthodox Church of the Moscow Patriarchate, reposed in the Lord following a serious illness. On July 5, 2014, the Primate of the Ukrainian Orthodox Church, Metropolitan Vladimir of Kiev and All Ukraine, reposed, the press-service of the Ukrainian Orthodox Church stated. On the eve of July 4, the results of the medical council concerning His Beatitude’s health were announced, relating the Metropolitan’s serious health condition. On the next morning, at 5:50 AM, Metropolitan Vladimir completed his life’s path. The date and place of Metropolitan Vladimir of Kiev and All Ukraine’s burial will be made known later. 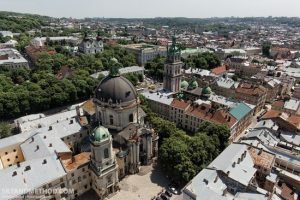 According to preliminary information, the Metropolitan’s body will be transported on July 6 to one of the cathedrals of the Kiev-Caves Lavra. The duties of the Primate of the Ukrainian Orthodox Church are being carried out by the Locum Tenens of the Kiev Metropolis, Metropolitan Onuphry of Chernovtsy and Bukovina. Eternal memory to His Beatitude, Metropolitan Vladimir! Metropolitan Vladimir (Viktor Markiyanovich Sabodan) was born on November 23, 1935, in the Markovtsi village (Letychiv district, Khmelnitsky region, Ukraine) into a peasant family. At nine years of age he began carrying out his obedience at the Holy Archangel Michael Church in his village. 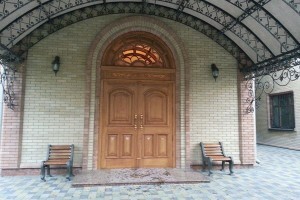 After completing the Medzhybozh high school, he studied at the Odessa Theological Seminary (1954-1958). In 1958, he entered the Leningrad Theological Academy, from which he graduated in 1962 with the degree of Candidate in Theology for his work “Christ the Savior – King of the Universe.” He taught at the Odessa Theological Seminary, where he served as senior assistant inspector, while simultaneously holding the post of Secretary of the Odessa diocese. On June 14, 1962, Metropolitan Boris (Vik) of Kherson and Odessa ordained him to the deaconate, on June 15 to the priesthood, and on August 26, Father Victor was tonsured a monk with the name of Vladimir (in honor of St. Vladimir of Kiev). In 1965, after receiving a graduate degree from the Moscow Theological Academy, he was appointed Rector of the Odessa Theological Seminary and also elevated to the rank of Archimandrite. In 1966, he was appointed deputy head of the Russian Ecclesiastical Mission in Jerusalem. On June 23, 1966, he was appointed Bishop of Zvenigorod, Vicar of the Moscow Diocese, and designated to act as representative of the Russian Orthodox Church to the World Council of Churches. His episcopal consecration was performed on July 9, 1966, by Metropolitan Pimen (Izvekov) of Krutitsa and Kolomna, later Patriarch of Moscow and All Russia of Moscow, in the Holy Trinity-St. Sergius Lavra in the Dormition Cathedral. On November 28, 1968, Bishop Vladimir was transferred to Pereyaslav-Khmelnytsky of the Kiev Diocese. On March 20, 1969, he was appointed Bishop of Chernigov and Nezhinskiy, while also temporarily heading the Diocese of Sumy. On March 3, 1976, he was made part of the Commission on Christian Unity, and in 1978 he was made a member of the commission for the preparation and celebration of the 60th anniversary of the restoration of the Patriarchate in the Russian Orthodox Church. From 1981-1988, he was a part of the Committee for the preparation and celebration of the Millennium of the Baptism of Russia. After being made a Metropolitan on July 16, 1982, Vladyka headed the Rostov and Novocherkassk Diocese. On March 28, 1984, Metropolitan Vladimir was appointed the Patriarchal Exarch for Western Europe. On December 30, 1987, he became the Administrative Director of the Moscow Patriarchate and a permanent member of the Holy Synod. In 1989, Vladyka temporarily managed the Hague Diocese (Netherlands). In the late 1980s, Metropolitan Vladimir actively participated in social activities. On September 16, 1988, at the founding conference of the Soviet Charity and Health Foundation, Vladyka was elected a member of the Presidium and the Foundation Board. In 1988, he became a member of the Central Election Commission during the elections of People’s Deputies of the USSR. On April 10, 1989, Vladyka headed the Committee that studied materials relating to the rehabilitation of Russian Orthodox Church clergy and laity. When Vladyka Vladimir was appointed Metropolitan of Kiev, the Ukrainian Orthodox Church had only four seminaries and academies, whereas by 2004, the number of church institutions had increased to fifteen. About 4,000 Sunday schools currently function. Today, the Ukrainian Church has more than 100 periodicals in many dioceses and positive relationships with regional television and radio broadcasting companies that promote the preaching of the word of God. Metropolitan Vladimir is an Honorary Doctor of several international universities and research institutions, a full member of the International Informational Support Academy (the UN Environmental and Social Council), and the International Personnel Academy Council of Europe. In March 1996, Metropolitan Vladimir was elected Honorary President of the UN International Committee gathered to organize the celebration of the 2000th anniversary of Christ’s birth. His Beatitude, Metropolitan Vladimir, was well-known as a preacher, theologian and spiritual writer. From 1997-1998 a six-volume edition of his works was published. On July 9, 2006, following a decision of the Uzhgorod Theological Academy of Saints Cyril and Methodius, Metropolitan Vladimir was awarded the title of a Doctor of Philosophy. 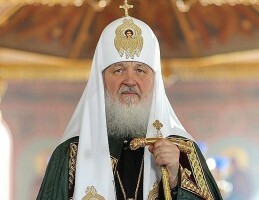 On July 29 in the same year, His Beatitude, Metropolitan Vladimir, became a member of the National Union of Journalists.